The IGTA Tour plays from mid January until December. Play the Tour or select your special events. We recommend every player prepare properly for any tournament. 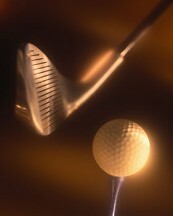 Tournament Golf is a different challenge for most avid golfers. Practice and Course Management are two very important considerations. Play one or two tournaments and you will find it to be the greatest way to play the game. The competition, the pressure, the camaraderie, and the thrills of a good round and playing with some true Professionals. Pro Net means using your Handicap. Remember your target should always be to net Even Par. Opportunity is available for those who desire a challenge and are serious about playing like the Pros. Regardless of Handicap you are challenged to advance to a new level! Marco Dawson Wins 2 in a row on the Sunbelt Senior Tour at Eagle Trace by 7 strokes(-9) for $5,200.00, after a 2 shot win at Harmony Preserve (-14) for $2,500.00! Marco, the week prior, had played with the IGTA at Mission Inn. UPDATE - He moves on to Champions Tour and makes 18 straight cuts, winning over $950,000.00 including 8 top tens! Includes qualifying for U.S. Senior Open 5(t) for $123,000.00 & the Sr. British Open. Tim O'Neal Wins on the New Hopkins Tour (70-66-67 203) by 2 strokes at Southern Hills Plantation in Ga. for $15,000.00! Tim plays the Web.com Tour and the PGA Latin American Tour where he had three wins in 2013. Now Over $4,400,000 Paid to IGTA Players in Prize Money! Best Courses with Best Payout! $4,000.00 - $10,000.00 First Prize!